I am so excited to share these at home newborn photos with you from my recent trip to Connecticut! This wasn’t just any at home newborn session- this is my best friend Alicia, and I not only had the honor of photographing Alicia with her newborn daughter, I also got to be there for the birth! When Alicia had her first child Alex, the plan all along was to have a home birth. It was something that was very important to her. (You can see the maternity pictures we did in Iceland when she was pregnant with her son on the blog HERE) At the time close to her due date, I was living in Portland, Maine- and I was ready to hop in my car and speed off to Connecticut the moment she told me she might be in labor. However, leading up to her due date, Alex turned breach, so an at home delivery was then no longer an option unless he turned in time. (which he didn’t). The day after I arrived, Alicia went into labor, and we headed to New Haven, where she had to have a C-Section delivery. It was not her first choice, but Alex was born safe and healthy and that’s all that really mattered. 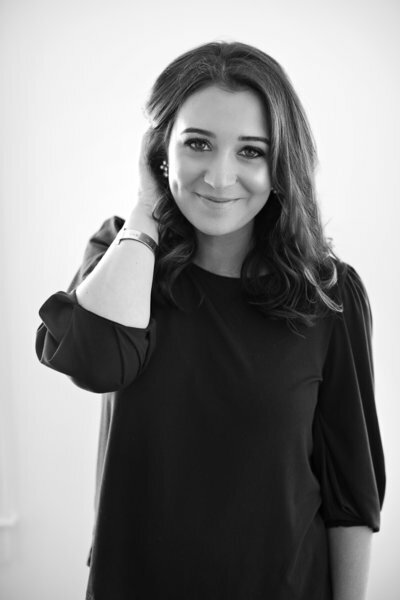 She spent the next couple weeks (months) navigating the emotional roller coaster that came with her birth not going according to plan- on top of those postpartum emotions. I was so thankful that I was able to stay with her for those first couple weeks, to help care for her and the baby, especially with the unexpected surgery. So when it came time for baby number two, our hopes and prayers were all for the natural home birth that she so desperately desired. This time, however, I was in Pittsburgh, PA where I now live. And the “hop in the car” plan I had last time, wasn’t exactly going to work with a 9 hour drive. But it just so happens, that I booked two additional sessions, within days of her due date in Connecticut (and another after arriving!) so I was able to schedule a couple weeks in Connecticut to be able to stay with her once again. As before, it wasn’t long after I arrived that Alicia went into labor, giving birth to Adeline naturally at home. I was so relieved that I didn’t miss it! 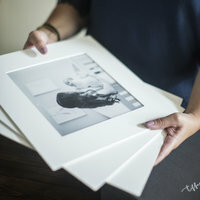 I was able to photograph the most special moments as she met her baby for the first time, and since she had kept the gender a surprise, I will never forget her face and when she looked down and saw that not only did she have the birth experience she felt robbed of last time, but she now had the daughter she had always wanted. It was incredibly special and yes, we were all crying! As you will see in this post, newborn sessions are a bit different when your photographer lives with you for two weeks! We did some indoor, some outdoor, some dressier outfits, and some casual. There’s definitely a greater amount of variety than I am usually able to do, because we took portraits over a few different days rather then only a couple hours. And friends, let me just tell you that some of my all time favorite photographs I have ever taken are shared here below. When it comes to choosing the photographer that is right for you, I think it really all come down to one question. Can you look at their work, envision yourself in the portraits, and ask yourself- will I love this portrait not only now, but in 50 years from now? You see, when I photograph motherhood, that is my one vision. I ask myself, will she adore this photograph in 50 years? Will this black and white film photograph of her holding her baby, be the portrait that is deeply treasured by her and her loved ones for years and even generations to come? That is always my hope in my work. 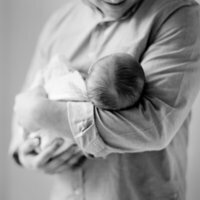 There are so many benefits to at home newborn photography. (Come back and read more on that here!) They will truly forever be my favorite kind of portrait sessions. Here are just a few of my favorites of my beautiful friend, photographed on medium format film, now a mother of two. Are you expecting a baby and looking for a maternity and at home newborn photographer? I am currently local to the Pittsburgh area, and I travel all over the country for my clients. I recently returned from Scottsdale, Arizona and I am next off to Virginia, Florida, and New York in the months to come! You can view at more detailed look at my travel schedule HERE. Please inquire for session details and more information on booking. They are beautiful! I’d love to hear more about the birth experience. I just so happened to help my friend deliver her baby at home back in August. But hers was not planned. Baby just came so fast and I was the first to arrive. It was crazy, scary, and beautiful all at the same time. A once in a lifetime moment that I never want to relive. I’d love it if a midwife had been there. Lol! !